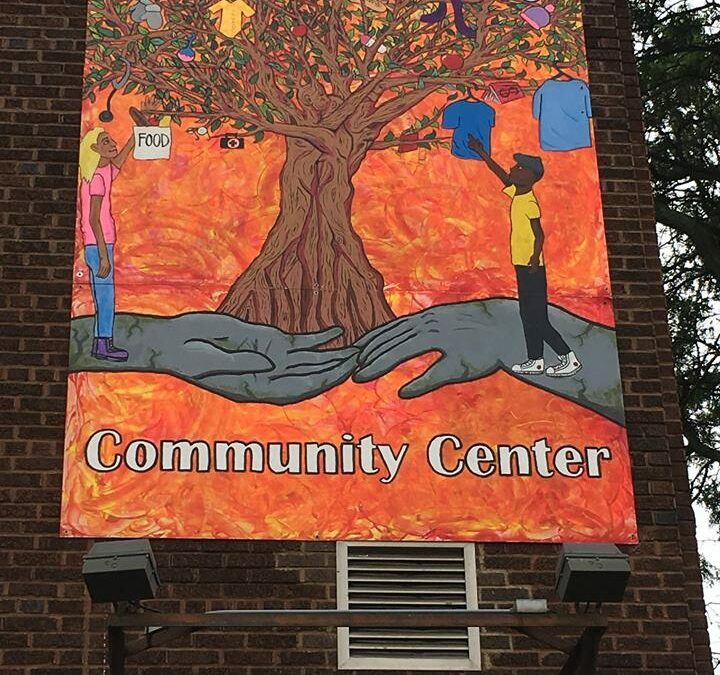 Cristo Rey celebrated with REACH for the completion of the Cristo Rey Community Center mural being displayed on our building for the community to see at 1717 N High Street. 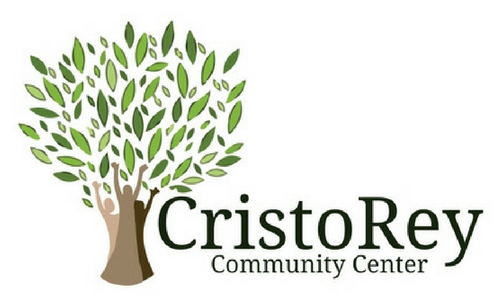 The mural was a very thought out and inspiring piece of work which was centered around Cristo Rey’s tree logo, with the elements that are hanging from the tree representing the services we offer within our center – all from providing emergency food, clothing, and personal need items and also our health clinic and counselling services. The tree in the mural is growing out of a moss stone handshake, which is also supporting two figures reaching for the items hanging within the tree. We are so touched at how much thought and creativity went into the beginning steps of designing the mural all the way up to the celebration of it being finished.
. The teens were taking notes, asking questions and overall being curious and excited to learn about how much Cristo Rey helps the community. We are proud to represent REACH outside of our doors and we are thankful for the effort, creativity, and curiosity expressed throughout this project. REACH is a non-profit neighborhood space for arts education and civic engagement in REO Town. The programs offered are dedicated to mentoring at-risk youth, urban revitalization, and strengthening community. Cristo Rey was lucky enough to work alongside with REACH and have the opportunity to display their work for the community to see. Come by and check out the mural for yourself! We also are proud to take part in this video documentary that REACH created of the process of REACH and Cristo Rey working together.